Kingsland is also known as: Camden County / Kingsland city. Zip codes in the city: 31548. Some of the notable people born here have been: Stump Mitchell (american football player and coach), and Ryan Seymour (american football player). Kingsland is a city in Camden County, Georgia, United States. 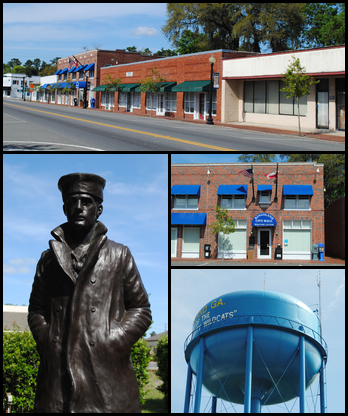 The population was 15,946 at the 2010 census.The Kingsland Commercial Historic District was added to the National Register of Historic Places March 17, 1994. It includes the area surrounding South Lee Street between King Street and William Street. Kingsland hosts an annual Catfish Festival on Labor Day weekend each year. It was reported on September 22nd, 2017 that Donald Lee Purdy passed away in Kingsland, Georgia. Purdy was 84 years old. Send flowers to express your sympathy and honor Donald Lee's life. It was written on August 21st, 2016 that Rosalie Nelson (Georg) perished in Lee's Summit, Missouri. Ms. Nelson was 97 years old and was born in Kingsland, GA. Send flowers to express your sorrow and honor Rosalie's life. It was written on September 19th, 2014 that Clara W Keith died in Kingsland, Georgia. Keith was 94 years old and was born in Franconia, NH. Send flowers to express your sorrow and honor Clara W's life. It was written on August 8th, 2013 that Erik John Granath perished in Kingsland, Georgia. Granath was 39 years old and was born in Worcester, MA. Send flowers to share your condolences and honor Erik John's life. It was revealed by The Macon Telegraph on May 29th, 2012 that Grace Williams (Sprawls) died in Kingsland, Georgia. Ms. Williams was 87 years old and was born in Barnwell, SC. Send flowers to express your sorrow and honor Grace's life. It was written by New Bern Sun Journal on February 23rd, 2012 that Queenie Victoria Wallace Gardner passed on in Kingsland, Georgia. Gardner was 97 years old and was born in Vanceboro, NC. Send flowers to express your sorrow and honor Queenie Victoria Wallace's life. It was disclosed by Abilene Reporter-News on January 9th, 2012 that Charley Perkins perished in Brownwood, Texas. Perkins was 68 years old and was born in Kingsland, GA. Send flowers to express your sorrow and honor Charley's life. It was noted on April 26th, 2011 that Robert A Streeter perished in Kingsland, Georgia. Streeter was 80 years old. Send flowers to share your condolences and honor Robert A's life. It was reported on February 3rd, 2011 that William Emmet Klindt passed on in Kingsland, Georgia. Klindt was 70 years old and was born in Burlington, IA. Send flowers to express your sympathy and honor William Emmet's life. 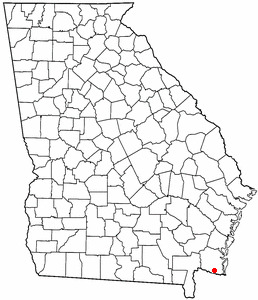 Kingsland is a city in Camden County, Georgia, United States. The population was 10,506 at the 2000 census. . . . The official website for the city of Kingsland is http://www.kingslandgeorgia.com. Walton July 19, 1952 in Kingsland, Ga. He preceded her in death in 1995 ... and a great-grandson, Nick Zanoli. Funeral services will be held at 11 a.m. Thursday, Oct. 28, 2010 at St. Ann Catholic Church, Cadillac, with Deacon Rene Honechid officiating. Listing all funeral homes in Kingsland, Georgia so you can easily send flowers to any location (same day delivery) or find any funeral service. Find a Funeral Home inKingsland, Georgia GA to provide the caring burial and ceremonial services your family deserves.